Growing up in Ohio my parents always made sure my siblings and I ate a warm hearty breakfast (I think I was the only kid in my class who ate Cream of Wheat!). Breakfast is still my most important meal, but now as a parent I stand in awe of my parents who were able to get all four of their kids on board with breakfast since my two kids are definitely not breakfast fans. 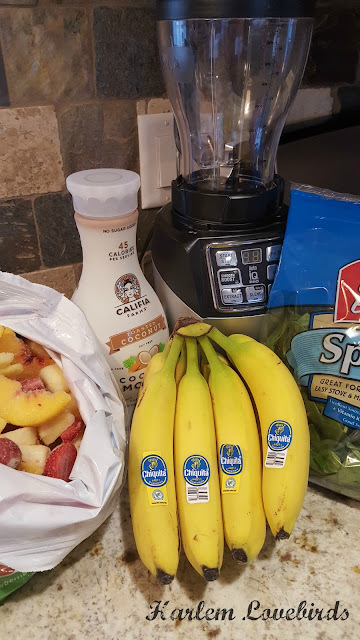 One thing I've figured out however is how I can pack tasty goodness into a smoothie to get something in their little systems to start their day off strong. 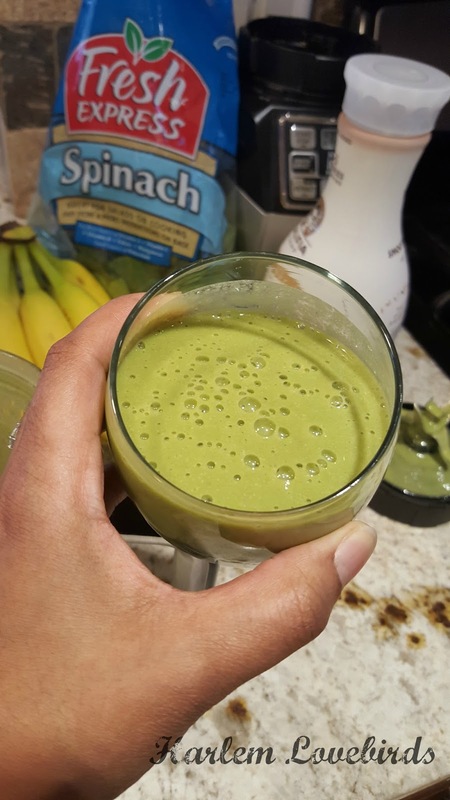 Lately, our favorite smoothie is inspired by the tropical flavors of the Caribbean, a place we dream of during our cold New England Winters. The key is the unsweetened coconut flavored almond milk - it enhances the natural sweetness of the fruit and tastes amazing. 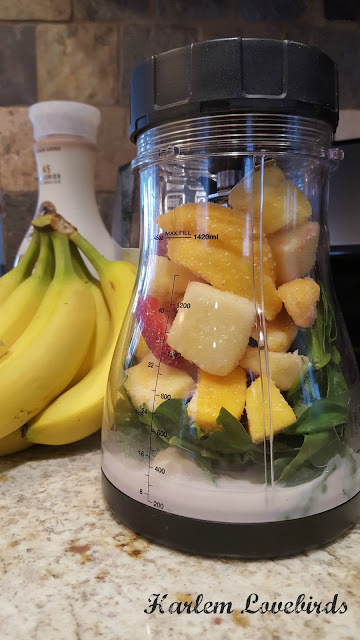 Layer in your smoothie ingredients depending on the blade position of your favorite blender. 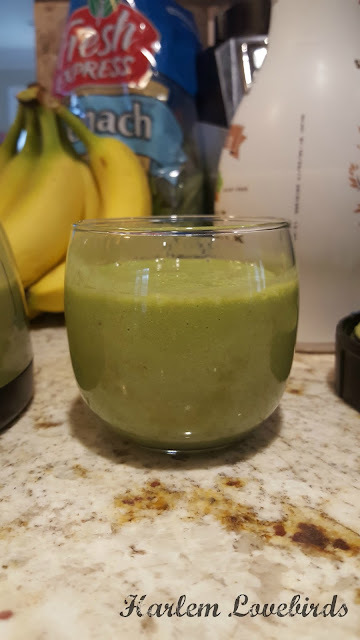 My blender inverts into its base once filled so I start with my liquids first, banana, spinach then frozen fruit so the liquid will soften it around the blade as it liquefies. Blend according to desired thickness stopping to add more liquid if necessary. This recipe makes 32oz of smoothie - 2, 16oz servings that my 2 1/2 year old son and I easily finish! Wayfair helps get your New Year off to a healthy start with their selection of blenders available here - many are stylish enough to leave out on your counter (I do!). 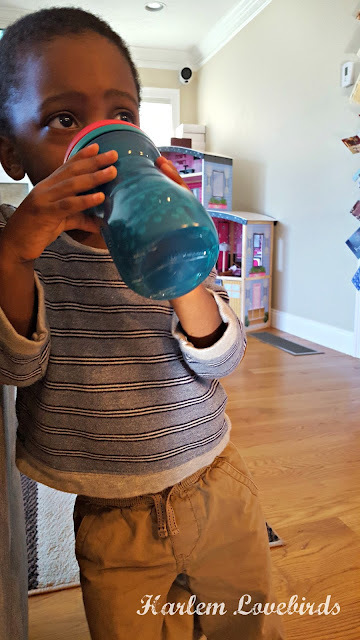 Are you a fan of green smoothies and do your kids drink them too? Which ingredients do you like in yours?